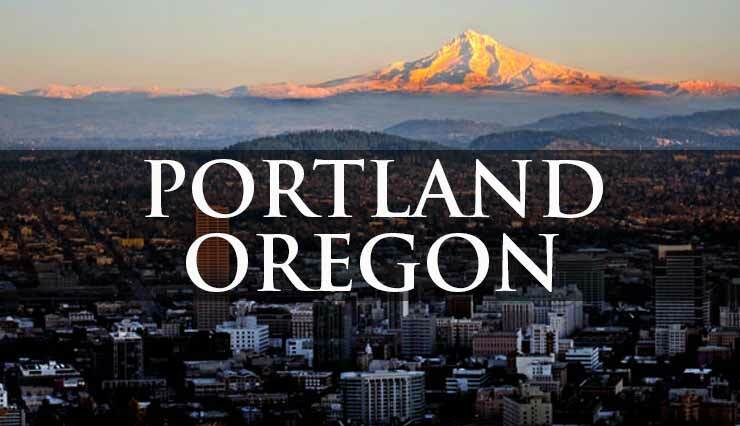 Also known as PDX or Rose City. What’s up, everyone! I’m back with another article, this time covering Portland and the BLW–SUM Expanded format. In the time since I last wrote, we’ve had Anaheim Regionals, St. Louis Regionals, and the Melbourne Intercontinental Championship — two Standard events and an Expanded one. For those who’ve competed at any one of these events and are now heading to Portland, the gasp for air and the idea of a weekend free from the thought of Pokémon is still a pipe dream. For those, like myself, the conclusion of this recent string of tournaments (specifically St. Louis, in my case) has finally given a chance to breathe, and reflect on this season now that we’re just past the midway point. While I know you’ve all come here just to read my philosophical rants about the state of the game, a distinct minority of you probably want to hear my thoughts on Portland, so I guess I can talk about that, too. I’ve got three good plays to discuss, so let’s jump in. Volcanion is a deck that has received widespread attention in Standard, though very little attention in Expanded, up until St. Louis. This is a little ironic to me as I believe that Volcanion has consistently been a mediocre play in Standard, in spite of its victory in Melbourne (more on this below), yet has been a heavily underrated play in Expanded. This is almost singularly due to Blacksmith, which not only changes the entire structure of the deck, but also turns Volcanion’s Ability into a consistent and self-sustaining one. I had been briefly testing the deck to surprisingly good results in Expanded well before Anaheim (though my list ran an Archeops/Maxie complement), though opted to set it aside after I felt that it was a little too clunky for my liking. This proved to be a mistake, as the results of St. Louis ultimately showed a field that was overwhelmingly favorable for Volcanion, with a surprising surge of Grass decks, and Yveltal lists that weren’t built to handle the speed and ferocity of Volcanion. The more streamlined version that my great friend Rahul managed to pilot to an incredible 3rd place finish was I believe the most optimal way to play the deck, and the results showed. It may appear as if I’m simply trying to take credit for the results of St. Louis retroactively, which is not true at all; the night before, even, I questioned why they were running it because I thought it was still clunky. The success of the deck is exclusively because Rahul and his teammates had the guts to take it to the tournament, and ran into a field of their dreams. St. Louis has shown that Volcanion is an extremely solid contender now, and it is likely to remain near the top of the field going forward. You should absolutely expect this deck in future Expanded tournaments and it is a great choice if you’re questioning what to play. Let’s take a look at the list. This is only two cards off of Rahul’s 3rd place list. After talking with him and playing some games of my own, his advice was to drop the two Max Elixir for an Entei (Combat Blaze) and an AZ. With Blacksmith, your Energy acceleration is fast, consistent, and potent enough already that something fringe like the two Elixir is unnecessary. Further, this takes two more Items out of the deck that could add clunk to hands against Vileplume, Trevenant, or Seismitoad decks. AZ is simply a strong card in Expanded, but is great especially in Sky Field decks. The card is useful in the event something unfortunate is trapped Active against Item lock or Fright Night, or just in general. Being able to search it with Battle Compressor makes this inclusion an afterthought. There isn’t much that needs to be said about Volcanion, honestly. It’s been around since the season began, but I think its true success lies in Expanded, where a more diverse card pool allows the deck to fix some legitimate flaws and turn it into a serious contender. Above all, this deck is a lot of fun to play and doesn’t take all that much thought, so I’d recommend it for those reasons if nothing else. Groudon has always been a fringe deck in Expanded: the lack of accessibility of Tropical Beach, which is usually run in high or max counts, removes this deck as an option for a large amount of the player base. Add to that the fact that Groudon is painfully, dreadfully slow and calculated, and you have a deck that is understandably a turn-off when compared to the blistering speed that is the rest of Expanded. Despite this, I think Groudon is actually an extremely strong play going forward, for a couple of reasons. For starters, Groudon runs four Wobbuffet. Wobb has started to see a resurgence of play in Standard as a hard-counter to Decidueye/Vileplume, and with Vileplume infesting Expanded as well, it may emerge there as well. Groudon’s been doing it before it was cool, though, and that fact now gives Groudon a tremendous advantage. Further, Groudon’s ability to abuse Focus Sash means it will trade incredibly well with many of the faster decks in the game, after dragging them down to the crawl that it operates at. Another aspect that draws players to Groudon is the fact that Groudon players often determine when the game actually starts. For those unaware, what this means is that the Groudon player will not promote their Groudon until they’re ready, and because of the Omega Barrier Ancient Trait, there’s nothing the opponent can do. Sure, you can take chump Prizes on Wobbuffet, but a Groudon player often promotes the three non-EX Pokémon of their choosing (be it Wobb, or Bunnelby, or Mime, if run), but the 7-Prize game will eventually take shape and by that time, you’re staring down a virtually unkillable 240-HP behemoth. Alright, there’s a lot to unpack here, if you’re unfamiliar with Groudon lists. I want to begin by saying that I started this list by looking at Stefan Tabaco’s Groudon list that he managed to take to a Top 8 finish at Phoenix Regionals, back in October. I’ve updated it with two — count ’em — two cards from Sun & Moon: Nest Ball! Nest Ball is actually pretty cool in conjunction with Korrina. Oftentimes, you find yourself sacrificing a few Wobbuffet while you build up the big man, and being able to grab Wobbuffet with a Korrina keeps the chain going; grab Groudon and Nest Ball, then next turn grab Primal Groudon and another Nest Ball. By this time, you should be getting Energy onto Groudon and the game should already be slowed to a point where the string of Wobbuffet you’ve grabbed will Bide [Barricade] you enough time to attack only when it feels right. With the way the list is currently, you have a 50% chance of starting Wobbuffet, which means you realistically have a 50% chance of totally shutting down Vileplume decks before they draw a card (how the tables could turn!). Otherwise, 3-3 Groudon is standard, and I’ve found that the 3-3 is there so that you have access to a 2-2. If the opponent manages to get through two of your Groudon and you’re scrambling to build a third, well … things are probably going downhill for you anyway, and I’d move on to the next game. Bunnelby is the last piece of the puzzle, and it’s simply to get back scattered resources. You’ll notice that the deck seems to have more 1-ofs than it does Pokémon, and that’s because of the fact that it can manipulate Puzzle of Time very effectively. Because of the draw from the maxed-out Tropical Beach counts, Groudon decks actually don’t find themselves discarding resources needlessly too often, making it one of the best decks to wage a war of attrition out there. This is a spooky tech for the mirror. Naturally, you don’t want your Groudon promoted first, as it will be the first one to take a hit. As a result, a single Psychic Energy allows you to attack with Wobbuffet, potentially breaking the stalemate and forcing their Groudon up first. Normally you’d want higher counts of these cards, but with Puzzle of Time, you can reuse them if needed. They work extremely well with Omega Barrier, giving Groudon a “permanent” ability. Buff hits, negate Weakness, negate retreat, whatever. This is the combo Groudon players love to take advantage of. When a Groudon is taking a lot of damage (but not necessarily KO’d or having the Sash triggered), simply tag into a clean Groudon and completely heal the back one, negating multiple turns of attacking that your opponent managed to stack on you. 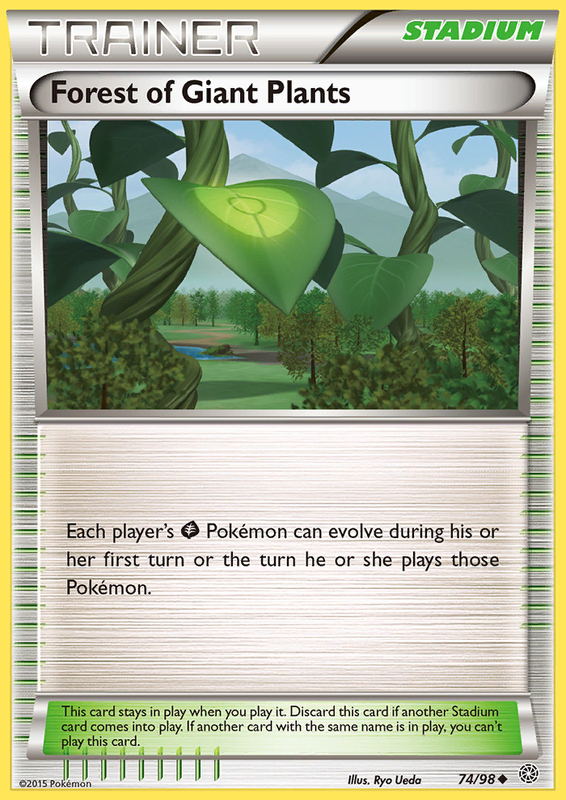 This card is just another wall you can grab with Korrina, to spare a Wobb getting knocked out, if need be. More switching cards. Bringing Groudon back to the Bench is great because now your opponent must kill whatever’s Active now, and can give you a chance to refresh your hand or something, if need be. All of these cards provide Groudon with plenty of options for any deck, and can all be reused with Puzzle of Time/Bunnelby. It is not an exaggeration for a Groudon player to start attacking on something like turn six, even if they’ve been powered up for two turns, simply because their hand was not yet optimal for them to take over a game. If your opening is poor and the Groudon player has started Wobbuffet, there’s ample time for them to stall, and each turn that passes puts the game farther and farther out of reach. Groudon does require a lot of thought and calculation, though, so it is not a deck I recommend playing unless you’ve gotten a lot of practice with. Groudon is always a deck that seems to do well, quietly taking placements in top cut quite frequently. This is because the very few people who do play the deck are almost always top players who can deftly navigate the impossible challenge that is an Expanded format. Instead of trying to predict the unpredictable, Groudon players opt to force everyone into playing their game. The deck trades very well with the rush decks of the format and is virtually immune to a lot of the lock decks out there. Kevin Baxter managed to take it to Top 32 in St. Louis, and had he not had unfortunate luck in tying many games, he was looking at a field that was filled with favorable matchups, Weakness be damned. There’s really nothing new I can discuss about Night March, especially if you’ve been a subscriber since last season. This set didn’t really add anything for Night March to play with, and that’s not really a problem. Night March is as Night March does. This is actually a single card off of Peter Kica’s St. Louis list, where he managed to make Day 2, even beating me in a close series during a Swiss round. Peter ran a Mr. Mime instead of the Hex Maniac, but the surge in Item lock decks has made me want a Hex instead. If you take Expanded format as what it is — a coin-flip format — then playing a deck that is best equipped to do the most on that first turn, or the second in the rare event your opponent fails to execute their turn one strategy, is optimal. Night March might be the best deck in the game that takes advantage of this, given that it is arguably the fastest. If your opponent is playing Oddish and you win the flip, then just try and pitch everything that you can, Hex, pass, and then chain Hex Maniac from that point on, giving little in the way of Prizes along the way. While I don’t personally like the idea of playing Night March in a field with as much Item lock as there is, I do understand the thought process behind it. It has favorable matchups against the decks that don’t Item lock you (doing very well against both Volcanion and Rayquaza), and actually does fairly well against the decks that do lock you, provided you win the flip, manage resources efficiently on the first turn, and plan out how you’ll use them later. Picking a deck that must win the flip to win in a field this volatile is risky, but I honestly believe that that is how Expanded is played anyway, so you might as well play something with as much raw power as Night March. I’ll start with this: the state of the Pokémon TCG, in both Standard and Expanded, is incredibly toxic, complete with degenerative gameplay and an aggressive and overwhelmingly common lack of player interaction. This is not unique to this specific format we’re in, as we’ve dealt with these problems for quite some time (since at least the start of last year), but it is still a dangerous problem. I discussed in a previous article that it seems that the game is “island-hopping” from one degenerate construct to the next, and while I thought that maybe we’d escaped that phenomenon with the advent of Sun & Moon, it seems my optimism was resoundingly misplaced. This rant is geared more towards Expanded than it is Standard: while I do think Standard is fairly toxic currently, I do think that as we rotate out Shaymin (and receive the new Windstorm reprint — huzzah!! ), the game will change dramatically and actually be far more enjoyable. This is still an overall gripe with how the game operates on a fundamental level currently and over the past couple of years. I joked immediately that this could not possibly be true. It seems almost unthinkable that the designers of these cards rigorously test them before printing them. If so, how could they come up with cards like Forest of Giant Plants, Shaymin-EX, or even something slightly lesser like Max Elixir? In what world would the reprint of Broken Time-Space seem necessary, especially with a reprint of an Item-locking Vileplume in the exact same set? How could they not have seen the abuse of Shaymin-EX with Lysandre’s Trump Card before it was banned, or the exponential increase in time to an average player’s turn? After having a game absolutely dominated by absurdly powerful Basic Pokémon for half a decade, what possessed them to print another form of accessible Energy acceleration exclusive to those same Basic Pokémon? Either Franco was lying to me (he was not), or the people in charge of designing cards were patently unequipped to do so, and the direction the game has been disastrous as a result. simply putting your opponent on a ~5-turn clock that they don’t really have control over (Turbo Dark, Night March). In all but one, the goal of deck is to simply stop your opponent from playing as hard and as fast as you can; the other simply involves you playing solitaire and hoping you win before your opponent does, likely starting on the first turn and ending shortly thereafter. It just … it’s not right. It isn’t how Pokémon should be played. Expanded has reached such an intricate level of development, but it is ironic because it has done so to accommodate increasingly unbearable levels of degeneracy. Up until last year, ILR (“Item Lock Rush”) was an oxymoron: decks that attempted to set up a consistent lock were universally slow and required a couple of turns to get going, achieving victory through grinding opponents’ non-Item resources down until they could take over a game. Now, all that is required for these decks to win is to simply win the coin flip, burn through as many cards as possible on the first turn, set up the lock, and then pass, because they cannot attack. Allowing your opponent even a single turn of Items is a courtesy reserved for pitiful cards like Seismitoad-EX (a sort of outlier that deserves its own article, a topic for which I have written ad nauseam), and often seen as a failure in the deck’s ability to execute its basic strategy. Pigeonholing players into things that hope to deny their opponent the chance to even play the game, or be forced to play something so neutral that it isn’t as negatively affected by such locks is atrocious card design, and defeats the purpose of them printing a huge assortment of otherwise interesting cards. While Standard is “fortunate” enough to only have one form of ILR, it is more than enough to flip the game on its head. From humble beginnings in Anaheim, John Kettler’s creation managed to take down Sheffield Regionals before finally taking over the format in Melbourne. The deck is so powerful and so popular that it managed to make up 28% of the Top 32 — this is astounding. Volcanion was able to win the event, though I would attribute this largely to Pablo’s deck bricking out (how’s THAT for irony), rather than the Volcanion player outright winning. If you were fortunate enough to catch the portrait-mode Facebook Live stream done off of an audience member’s phone (boy, is there an article by itself here), you would have seen a set where Pablo failed to set up any semblance of an effective board Game 1. Game 2 was kinder to him as he set up the lock, trapped a Volcanion Active and sniped around it with Meowth. Game 3 was a replay of Game 1, and that was the series. I believe that had Pablo been able to achieve his Game 2 setup more than once in the series, he very likely would have won the tournament; the fact that people are talking about Decidueye/Vileplume in spite of its loss lends credence to this line of thought. The rise of Decidueye/Vileplume is totally format warping in Standard, too, even if the deck itself is not that good. A lot of interesting decks are hated away simply because they are not flexible enough to adapt to handling the deck. The finals of St. Louis further reinforces this. I believe John Kettler went first Game 1, set up Vileplume, game over. Alex went first Game 2, set up his board and spammed Hex, game over. Game 3, Kettler whiffed setting up Vileplume — a rare occurrence — which effectively meant he lost the coin flip, allowing Alex to set up his board, spam Hex, and … game over. The finals of this tournament was one of the most boring finals I’ve ever seen. 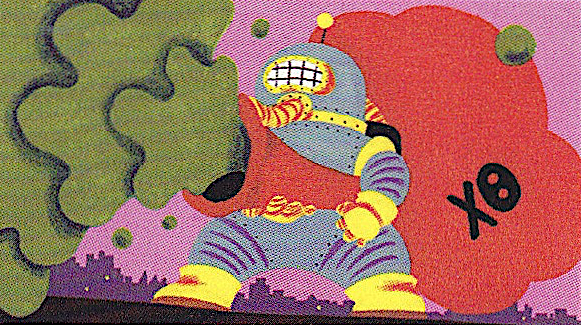 Wailord vs Toad/Garb was actually more exciting than this one, in my opinion. Other people noticed, too, because there was a current of disenfranchisement online during and immediately following the matches conclusion. I do not fault any player who’s had success with these degenerate strategies, and I know that many of them actually dislike having to resort to them. The reality is is that if you choose not to play something degenerate, you will likely do quite poorly, unless you get lucky and find good matchups. These decks are the best decks and must be played, but I wish more than anything that this were not the case. At the dawn of Expanded, TPCi stated that it would monitor Expanded and watch out for combos that were deemed harmful to the game, or something like that. They even banned Shiftry, a card that saw absolutely no play whatsoever prior to that point, because it abused FoGP to win before your opponent drew a card! So much for monitoring a format and looking for harmful combos, because we’ve sure got a million. I don’t know how Pokémon can honestly walk back the power creep that is Expanded (and to a lesser extent, Standard). A banlist is required, at the minimum. My candidates would be: Forest of Giant Plants, Shaymin-EX, Ghetsis, and Wally, for starters (I want to throw Battle Compressor on here as well and it likely should, in all cases, but we’ll leave it off for the sake of being moderate). These four cards contribute to an overwhelming amount of games being ended before you have a chance to draw a card, and that is indescribably unhealthy for the game both in the immediate, and for longevity’s sake. 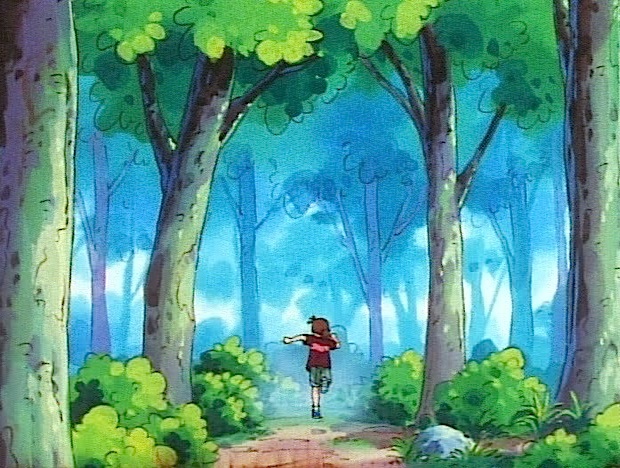 Pokémon originally started dumbing the game down because it made it more accessible (which meant more $ for them), but at some point it would inevitably creep out of control, and here we are. Decks thought to be the epitome of power creep (TDK, for example) are now unplayable, because they’re not good enough. If you’ve made it this far, you’ve made it to the end. I am incredibly disheartened at the state of the game. Many people poke fun at me for complaining, but it is a genuine feeling of disappointment after having watched this game I love gradually slide into the abhorrent state it is in today. I am ever the optimist and always look at titular sets like Sun & Moon with hopes that it’ll start to bring the game back from the brink (this time’s for real, guys, I swear), and each time, it seems that my hope is misplaced. Every player I’ve spoken to absolutely dreads Expanded tournaments: it doesn’t matter what meta call you made, it was the wrong one, and you just have to pray. This is bad for the game and I don’t envy anyone who’s going to have to endure this in Portland. I wish you all the best of luck and hope my deck advice up top is of value to you in your preparation. Conversely, I hope my depressing sermon down here hasn’t dampered your enjoyment of the game and that you can all agree that something is wrong, regardless of if you think elsewhere on how to fix it. As always, leave a comment below and let me know what your thoughts are. Have a great day and may the coin flip your way in Portland!